I just turned 50. That's a blessing and a curse. The blessing of making it to 50 is the wisdom that comes from remembering 50 years' worth of stuff. The curse is the burden of remembering 50 years' worth of stuff. See, in some respects, ignorance is bliss. There is a certain contentment in not knowing what you don't know. Take the state of radio, for example. 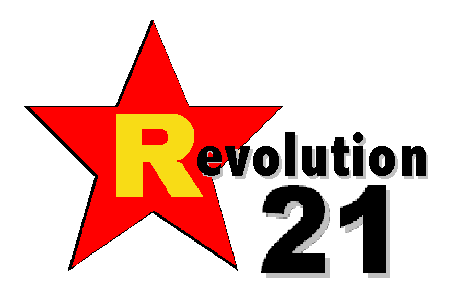 It's the little story that tells the big story of life in these postmodern times. 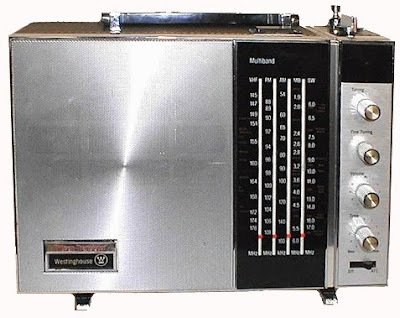 If you don't know anything about what radio was, it's difficult to get all grief-stricken about what radio -- and by extension our society -- has become. I have loved radio for as long as I can remember. When I was a little kid -- back when music came on records, sound got recorded on reel-to-reel tape and computers were the size of small rooms -- I used to trek up and down the dial of our big five-band transistor set, listening to all the world that would fit in (and squeeze through) a six-inch speaker. I would listen to a wonderful world of music -- all kinds of music. I would listen to network broadcasts from New York . . . and the world. I would listen to, and wonder about, life in exotic places like . . . New Orleans. Nashville. Little Rock. Little Rock? Little Rock. When you're 8 or 9 and growing up blue collar in Baton Rouge, exotic is a catch-as-catch-can affair. Little Rock was the Mighty 1090, KAAY, with rock 'n' roll in the night. 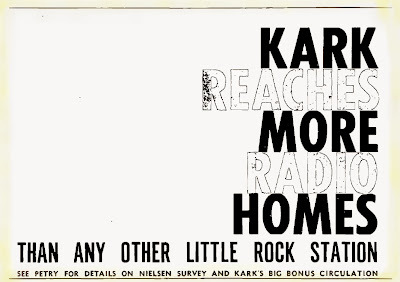 And as I was to learn through the magic of someone long ago hooking a reel-to-reel tape recorder up to an AM radio, Little Rock also was KARK. Or, as the announcers there said back in 1971, "Kay! A-R-K."
IF YOU'RE a lot younger than my 50 years, the above hour of KARK, circa May 19, 1971, must sound like a transmission from an alien culture. That's because it is. In 1971, the mass media was just that. While in many respects, we were just as much a tribal society 40 years ago as we are today, all our various tribes were on a first-name basis. Even when we hated one another's guts. Though alienation was a fact then just as it is today, alienation was not a business model for mass media. Though we often screamed at one another four decades past, radio and television by and large weren't about displacing light with heat. Or hot air. 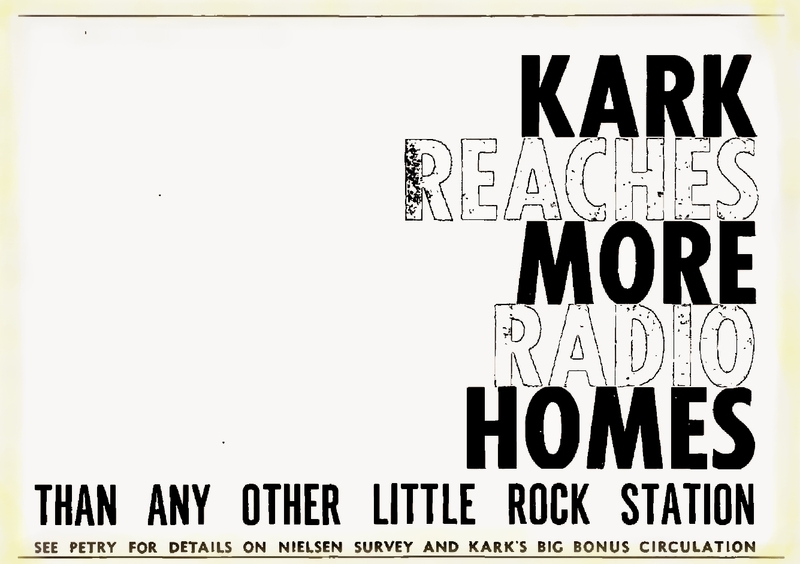 Radio stations like KARK -- those one's parents were most likely to favor -- were all about being the voice of a community. Today, by contrast, the picked-over carcasses of stations like KARK (now KARN) are all about being the cynical voice of an outraged sociopolitical demographic, usually on the far right. Today, if you don't want to listen to a single thing "The Other" has to say, you don't have to. You can get all your "news" from people who think just like you do. You can listen to radio stations that pull angry voices from the sky -- via satellite -- that tell you exactly what you want to hear. YOU CAN wander across the AM dial in search of exotic voices from exotic places, only to find that everywhere is just like Nowhere . . . that nondescript backdrop for our unremarkable lives of quiet desperation. The voice from New Orleans is the voice from Omaha is the voice from Little Rock is the voice from the satellite. The overwrought voice of outrage. The voice that shouts but never sings. A few years after the time of our 1971 archived transmission from an alien culture, Harry Chapin sang about a "bright good-morning voice who's heard but never seen." That guy got fired years ago. Now there's Ryan, or Rush, or Glenn, or Laura, or Sean . . . or the conspiracy theorists selling doom late at night. They're not from around here. THE BLESSING of my 50 years on this earth is I can remember a time when I had a working knowledge of subcultures not my own. When the snot-nosed kid that I used to be couldn't help but have broad familiarity with my parents' Squaresville landscape. With their history, their cultural underpinnings. Memory also is the burden I bear. This curse is born of a half century of learning the hard way that "progress" oftentimes isn't -- that things don't always get better and better. When I close my eyes and shut off the noise we can't ignore, I hear music. I hear exotic voices from magical places. I hear New Orleans. I hear Baton Rouge. I hear 1971. It's right there . . . the troubled but magical world from when most of my life was ahead of me, not behind. I hear it . . . I can almost touch it. My blessing. I open my eyes, and now it's gone.